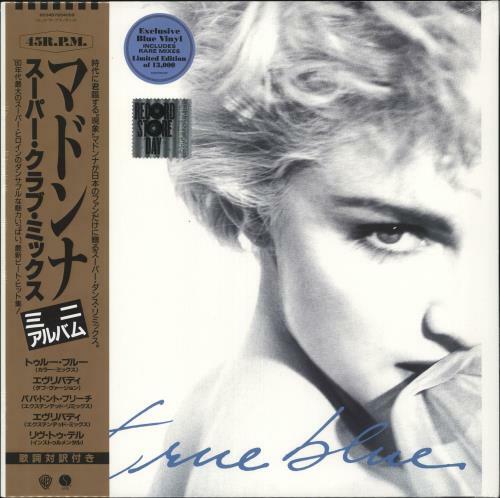 MADONNA True Blue [Super Club Mix] (2019 UK limited edition 5-track 12" EP released exclusively for Record Store Day pressed on Blue Vinyl, a replica of the Japan-only EP which was originallyreleased in November 1986 by Sire and includes alternate versions & remixes of True Blue, Everybody, Papa Don't Preach and Live To Tell. 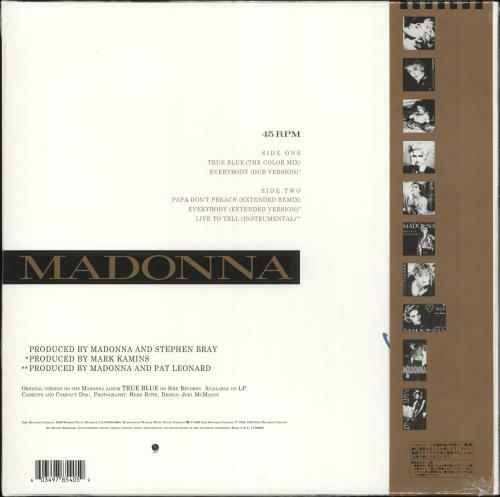 The vinyl is BRAND NEW & UNPLAYED housed in the picture sleeve which remains sealed within its hype-stickered shrinkwrap complete with obi-strip! ).